A brilliant tool for all chopping, slicing and dicing jobs, this 15cm utility knife has a continuous full-tang stainless steel blade for brilliant balance and comfortable use. It's a professional-quality piece of kit, for everyday use at home. 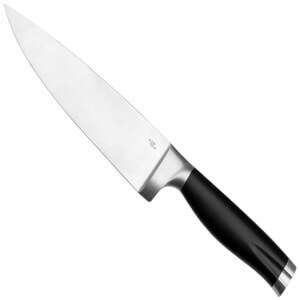 The embossed end also means it can be easily identified in a knife block.